Starting September 14, dinosaurs will be walking among the humans once again. 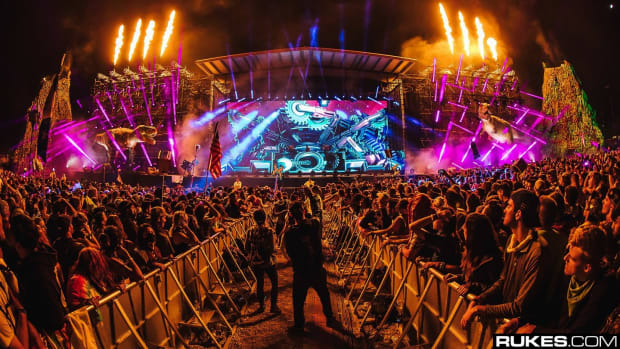 The bass goliath who goes by the name of Excision, has recruited the best and brightest in bass music to take over the historic Legend Valley in Thornville, Ohio for the second edition of his already-legendary music festival, Lost Lands. We just couldn&apos;t contain our excitement for this year&apos;s party so we decided to have some fun with the lineup. We put our heads together and re-imagined the Lost Lands headliners as dinosaurs. Plus, this year will have 3 times as many dinosaurs as last year so it will be good to brush up on your dino knowledge. With a name like Jauz (pronounced "jaws") and a record label named Bite This, there&apos;s really no other prehistoric creature that&apos;s better fitting. This bass house master is ready to give headbangers a chance to get funky at Lost Lands 2018. Despite seeming friendly and helping the crowd groove, I still wouldn&apos;t go near any bodies of water when he&apos;s around... something tells me he might bite. One of the only dinosaurs proven to be a cannibal, the Majungatholus has a lot in common with zombies. Coincidentally, Lost Lands has a real zombie on the lineup this year. British superstar Zomboy is preparing to unleash terror on your squad with his nuclear set this September. 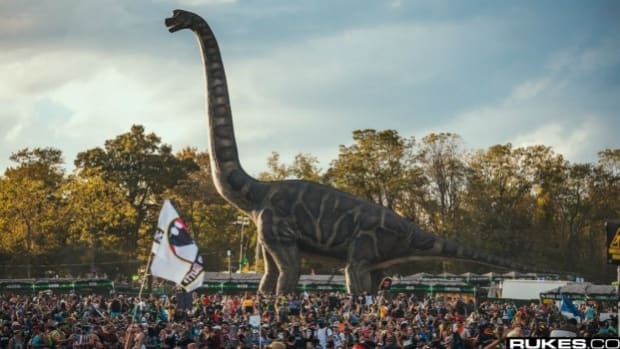 Like Flux Pavilion and his fellow Lost Lands headliners, the Parasaurolophus was a respected leader of the dinosaurs despite being non-violent. Although Flux Pavilion can throw down when needed, prepare to get emotional and feel the love during his Lost Lands set. Check out the official trailer for this year&apos;s Lost Lands! Many consider the Nyasasaurus to be one of the first dinosaurs to roam the earth, just like how Rusko is one of the first modern dubstep musicians to rule the airwaves. Without Rusko, Lost Lands might not have been possible. Be sure to pay tribute to the OG at Lost Lands this year and see why he is one of the original dubsteppers. The Campanile Giganteum was literally a giant snail. Snails is literally a giant vomitstep producer. The Campanile Giganteum was found in France. The human Snails speaks French. We might be on to a conspiracy here. Is Snails really just a giant snail in a human costume? We&apos;ll have to find out at Lost Lands. Known for hunting their prey in packs, the Velociraptor wreaked havoc in the Mesozoic Era similar to the way Ganja White Night will demolish the main stage at Lost Lands. With two sets of hands and an array of hits at their disposal, be prepared for Ganja White Night to bring the madness to Legend Valley. The Titanoboa was a giant snake who would fill her enemies with fear, similar to how Rezz and her demonic sounds haunt concert goers. Rezz&apos;s unofficial mascot is a "snek" so there is absolutely no better choice than a giant, terrifying snek to represent one of bass music&apos;s most exciting new artists. Get ready to lose your soul to Space Mom on the main stage this year. Capable of producing immense power, the Spinosaurus was one of the most explosive dinosaurs to roam the earth. If you&apos;ve ever listened to Slander, you know exactly why the Spinosaurus was chosen. 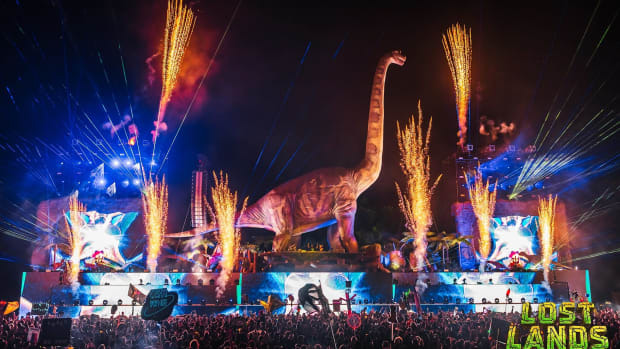 Their incredible ability to unleash absolute power on the stage is the reason why they were invited back to Lost Lands for this year&apos;s edition. Although the Stegosaurus was a herbivore, it&apos;s spiky body and weapon-like tail made it a fearsome foe. 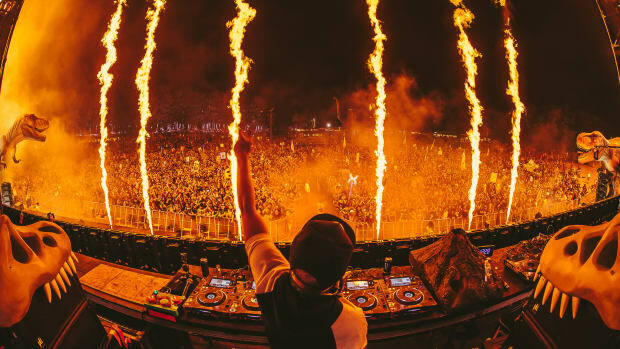 From the outside, NGHTMRE appears to be a happy, melodic producer, but beneath the gentle exterior lies a producer capable of unleashing violent bass at breakneck speeds. It&apos;s easy to see why Excision picked this young superstar to unleash ferocious trap at his festival. Though their diet consisted of plants and not other animals, the Brachiosaurus&apos; giant stature made it a legend in the Jurassic Period. Just like their Jurassic counterpart, Nero did not need bone-crushing sound to become bass music legends. The sheer epicness of their sound helped elevate this bass music trio to Brachiosaurus-sized proportions. Prepare for their giant sound to flood the airwaves at Legend Valley this year. Although the Pterodactyl wasn&apos;t exactly a phoenix, this bird of prey was one of the most agile birds to ever soar through the skies. Like the Pterodactyl&apos;s flying, Illenium is prepared to send festival goers on a journey through the skies with his uplifting melodies. Obviously, Excision is the T-Rex. There&apos;s no one more deserving of the title "King of the Dinosaurs" other than the literal king of bass music. Without him, bass music wouldn&apos;t be the unrelenting force that it is today. 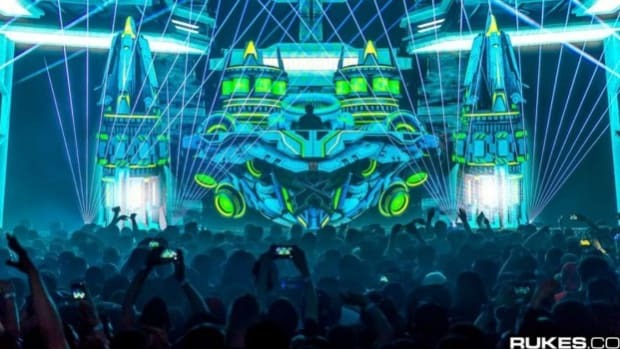 While the T-Rex had the strongest bite in the animal kingdom, Excision has the hardest-hitting bass. Most people need a neck brace after just one Excision set, but at this year&apos;s Lost Lands, the King is playing FOUR sets. I&apos;d suggest buying a full-body cast... you&apos;ll probably need it after four rounds with the king.